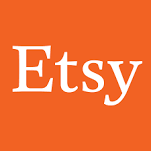 Etsy is seeking a Manager to join our Strategy & Operations team. Our mission is to empower our teams to rise to a new level of business performance, interpersonal brilliance, & marketplace creativity. As a key member of the Strategy & Operations team, you will help refine Etsy's strategic direction & operational cadence. We work on a range of initiatives across the company, on which you'll collaborate with a diverse group of partner teams & get to know Etsy's business inside & out. You will also be responsible for monitoring the operating environment, & developing insights about consumer & industry trends that will inform & drive business decisions.